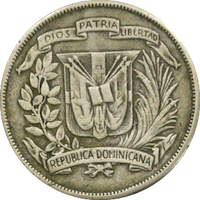 The Dominican Republic encompasses the eastern two-thirds of the Caribbean island of Hispaniola which it shares with Haiti, the poorest country in the western hemisphere. More than 40% of Dominicans live below the poverty line, which lends itself to an extremely low standard of health. Trends predict that the prevalence of infectious disease will soon be overtaken by chronic non-communicable diseases, which are on the rise. One project site, two countries. Restauración, located just 12 km from the Haitian border, is situated in the second poorest province in the Dominican Republic. The town is comprised of a town center and is closely surrounded by rural villages. Restauración’s location on the border opens it up to an entire other community, which mirrors its location on the Haitian side. Haiti is the poorest country in the western hemisphere, lending itself to a number of tropical diseases that are not commonly seen in other areas in the region. Due to the ease of the border crossing, human trafficking is a common trend between the two countries, leading to many undocumented residents. Restauración, approximately 3 hours from Santiago, is a part of the province of Dajabón. It is located in the Cordillera Central mountain range and shares a border with Haiti. There are five clinics located within the municipality that depend on government funding. According to local health officials, upwards of 70% of patients seen are Haitians, which are not accounted for in the allocation of funds. More than half of Dominicans live in poverty, and trends predict that although the prevalence of infectious disease is declining, its dominance will soon be replaced by chronic non-communicable diseases. 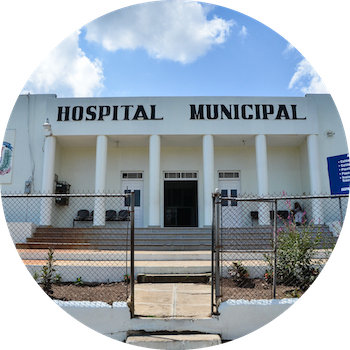 There are currently five clinics located within the municipality of Restauración that depend on the public health system, even though less than 3% of public spending is utilized to strengthen the health sector. Not surprisingly, this results in under-qualified physicians, nurses, and other healthcare personal, as well as insufficient systems, lacking adequate technology and resources to properly serve the patients that they admit. The physicians stationed in these remote posts are often times recent medical school graduates who have barely begun their residencies, and lack sufficient supervision. Due to its location, Restauración also serves as a resource to the large, unofficial population of Haitians living right across the border in the village of Tiluri, a virtually untouched community. Only documented Dominican citizens are covered by the public health system, leaving these marginalized communities with little access to health education or health care to suffer, and a complete lack of emphasis on health education or preventative care. FIMRC’s Project Restauración first and foremost works to execute regular rural medical clinics in outlying communities where others tend not to travel. We also work with local health clinics to better train and observe medical professionals, execute public health campaigns in the region based on current local needs and train locals on preventative health care so that they can serve their communities more effectively. We aim to be present in both Restauración, Dominican Republic and Tiluri, Haiti. In 2013, Field Operations Manager Joe South led the efforts to conduct a community diagnostic aimed at better identifying the needs in Restauración and the surrounding communities. A copy of the resulting analysis, and the basis for our programmatic decisions in the area, can be found here. Year-round operations mean adapting to our environment and listening to our communities. 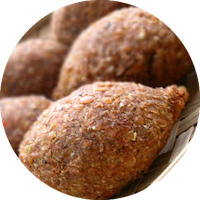 We live and work among the families in Restauración, Tilurí and the surrounding areas. With the support of our volunteers, we dedicate our resources to three main areas of focus: clinical involvement, health education and special initiatives. Below are a few examples of our work at Project Restauración. Project Restauración thrives on the efforts of volunteers, all of whom contribute to the current needs and initiatives on-site. Whether you're giving a first-aid demonstration to local schoolteachers, hiking through the jungle to survey remote communities, or spending the afternoon taking vital signs in a rural clinic, your efforts allow us to better serve the residents of Restauración and the surrounding communities. All volunteers have the opportunity to participate in both the clinical and health education aspects of operations on-site, and activities can range from participating in a nutritious cooking class with mothers from the community to shadowing in one of the local health clinics. Over the course of your trip you'll receive an unfiltered experience in health care field work abroad, and learn about the tremendous impact that even one person can have. At our end, so as to maximize your contribution, we will tailor your experience based on current needs, your interests, training, and amount of time that you spend with us on-site in Restauración.